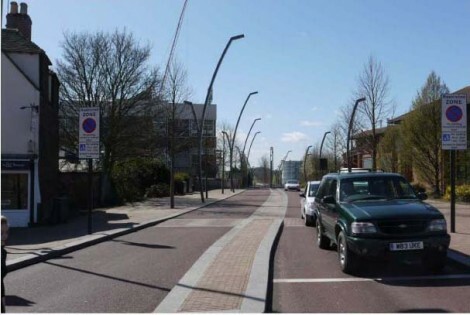 I’ve been looking at some before-and-after photos of the “shared space” scheme in the English town of Ashford, which we’ve written about here before. 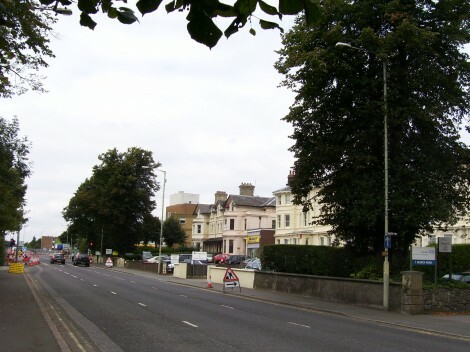 The first pair below shows West Street before the scheme, a rather drab slab of pavement and railings, forbidden to pedestrian crossing, with all the charm of a drainage ditch. The image below is of the after, and I had to check the nearby buildings to make sure it really was the same vista. The next set shows Elwick Road, which is virtually crying out for a speed problem. If they cannot afford a trip to the Netherlands or Germany, they should visit Ashford in Kent. Here the local council, in collaboration with the designer Ben Hamilton-Baillie, took a leaf from the work of the Dutchman, Hans Monderman, and turned their town into the most progressive in England. 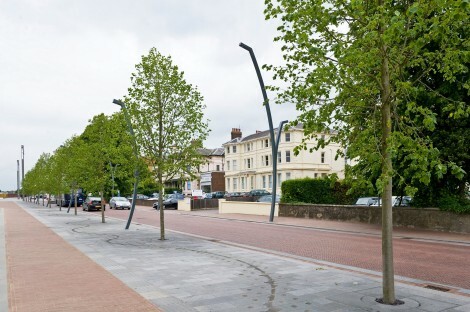 In the new shopping area, all distinction between road and pavements was erased and shallow drainage gullies redesigned by a local artist, with new lighting and street furniture. The roads have acquired a new dignity and people comment on a new sense of community and courtesy. Cars must make their way gingerly through other road users, but since they are no longer held up at red lights their average speed has risen. 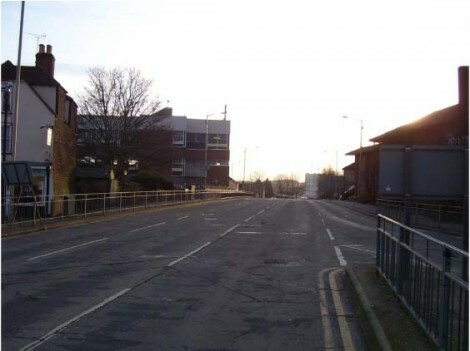 Astonishing as it may seem to the enemies of progress, the accident injury rate in Ashford has fallen to zero. Even the far more modest scheme in Kensington High Street has led to a 44 per cent cut in accidents. This entry was posted on Tuesday, July 28th, 2009 at 2:26 pm	and is filed under Cars, Cities, Traffic Culture. You can follow any responses to this entry through the RSS 2.0 feed. Both comments and pings are currently closed.